Loraine Long Nickolai passed away at her home on Jan. 23 after a long and heroic struggle with cancer. At her side was her husband Bob and son Jeremy. 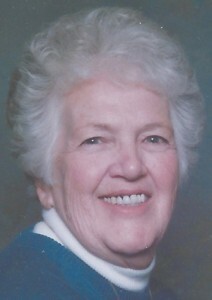 Loraine was born Aug. 30, 1937 at the family home in Pleasant View to Edve H. and Ruby May Thomas Long. She married Elmer Nickolai who passed away in 1991. She later married Robert Pickering in 2004. Loraine loved life. She enjoyed picnics in the mountains, playing cards with family and friends, traveling, and a good debate about almost anything. She loved her family and relished time spent with them. In the last few years she and Bob had traveled to many places. Loraine lived and worked at Dugway Contracting Office until her retirement. She is preceded in death by her parents, brother Arnold Long (Norma), and husband Elmer. Loraine is survived by her husband Bob, son Jeremy (Mary) Nickolai, sister Merlene Siddoway-Jirik (Jim), and numerous nieces and nephews. We would like to thank family, friends and neighbors for their love and support during this time. Graveside services were held Jan. 26 at 1 p.m. at the Wanship Cemetery. Send condolences to the family at www.walker-mortuary.com.